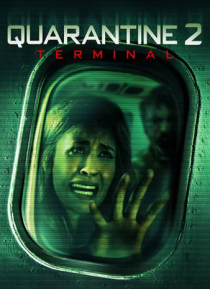 A follow up to 2008's Quarantine, this entry picks up later that night at LAX, as passengers board a flight to Nashville. When a passenger becomes violently ill with a rabies-like virus, the plane makes an emergency landing at a metropolitan airport. Jenny, a heroic yet inexperienced flight attendant, takes charge..Relieved when a swarm of heavily equipped emergency vehicles and police arrive, Jen… ny and the passengers soon discover that they have been quarantined and are now trapped.